Protective and repair cellular anti-age and anti-wrinkle skin care. Already after 4-6 weeks of application skin density and firmness will be increased. An ultimate rejuvenating Elixir Formula of advanced Stem Cells of Argan tree and Rejuvena FP2-Complex. The uniquely composite of extraordinary botanical ingredients activates the Collagen and Elastin synthesis and strengthens the antioxidant defence mechanisms, which protects the skin against free radicals. Through vitalizing and protecting dermal stem cells new fresh skin cells fibroblasts will be built and thereby, skin aging will be fought directly at the root. Hyaluron-Collagen Complex, Omega 6-Skin Mimic lipids and Ceramide 1 + 3 + 6 reduce the depth of wrinkles, sustainably moisturize and strengthen the hydrolipidic barrier of the skin. 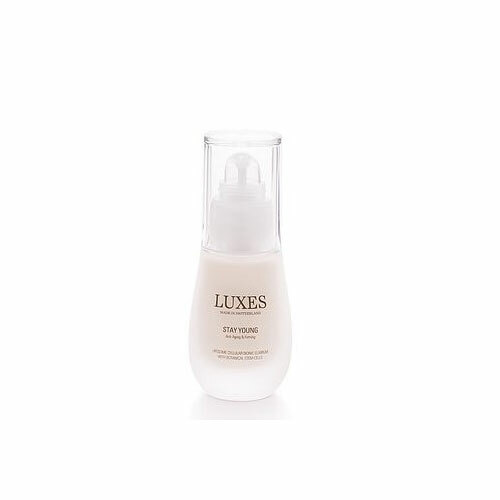 The Swiss revolutionary Cellular Bionic Elixirum transports natural active ingredients to deeper skin layers by applying the micro Botanical Liposome Technology and Ginkgo O2 Booster. The silky light formula instantly melts with your skin, is easily absorbed and leaves your skin with an extensive sense of freshness and wellbeing. Cellcosmet Cellular Eye Contour Cream (11%) 30 ml.